Israel Connection places you at the center. We invest maximum effort and resources in providing you with the perfect Israel experience. Our personalized service is designed to meet the diverse needs of our customers. This relationship is reflected in individual consultation designed to identify and serve the specific requirements of each client. The company is also committed to ongoing learning and continual improvement in order to better serve our customers. Israel Connection has offices in the United States and Israel, operating in coordination with one another. It is our aim to assist our clients in developing their identity, deepening their Jewish values and strengthening their connections with Israel. Each program is tailor-made to meet your specific needs and goals. We believe that as every group is unique, so too every itinerary must be. 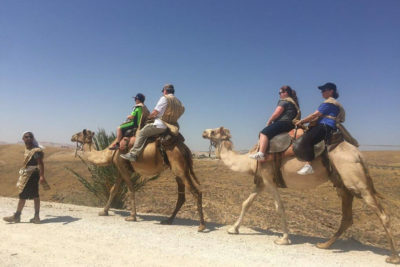 When it comes to Israel trips, one-size does not fit all. Israel Connection offers individual consultation and personalized service to meet the diverse needs of our clients. We pride ourselves in taking care of every detail for you. We’ll be in touch with you before the trip by either phone, video conference or in person so we can make your family’s dreams a reality. From this a unique, personalized itinerary will be created just for you and in line with your budget. 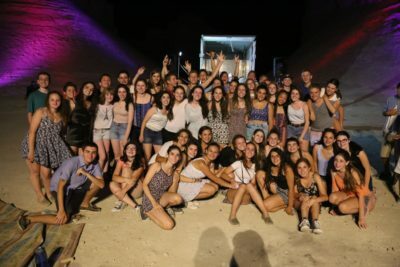 Our licensed tour guides will give you an experience to remember, as you watch the Tanach become alive before your eyes and visit sites you didn’t even know existed.